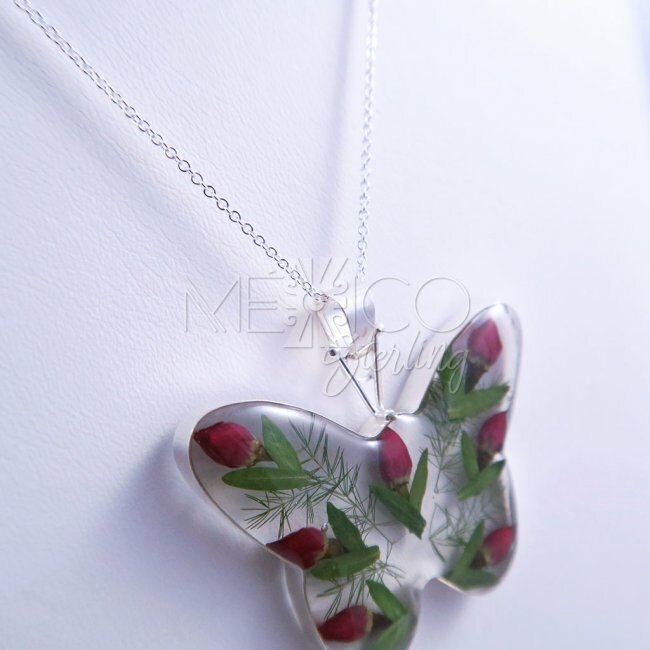 Rose Buds and Silver Pendant Butterfly [NMP22] - $16.00 : Mexico Sterling Silver Jewelry, Proundly from Mexico to the world. 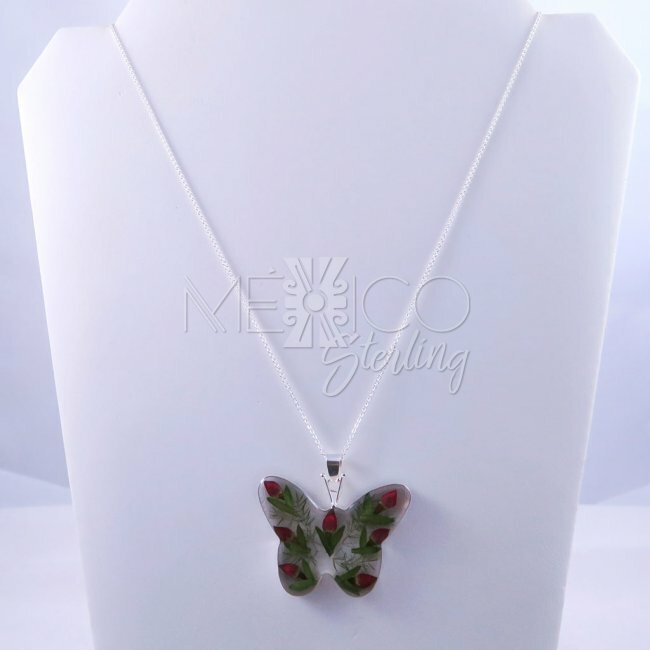 Dimensions: W: 1 7/8" L: 1 3/4"
Charming silver and still nature butterfly pendant. 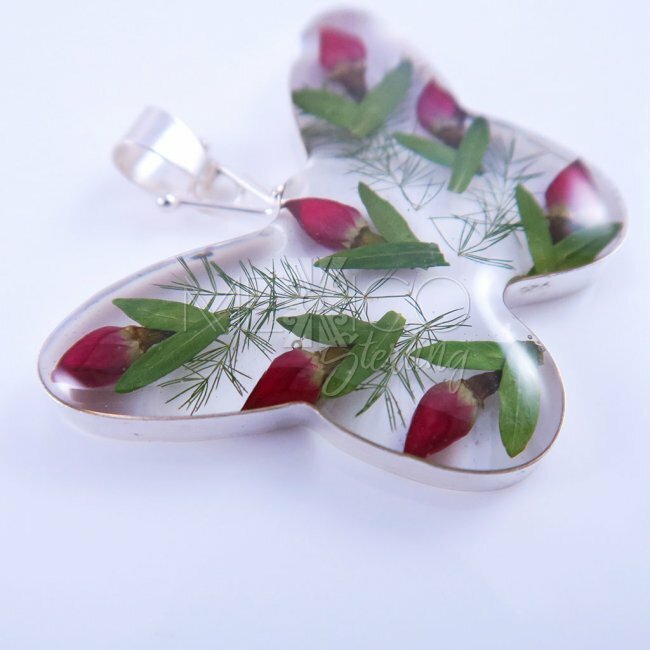 This is an excellent example of a more simple artisan work, but still beautiful and eye catching. 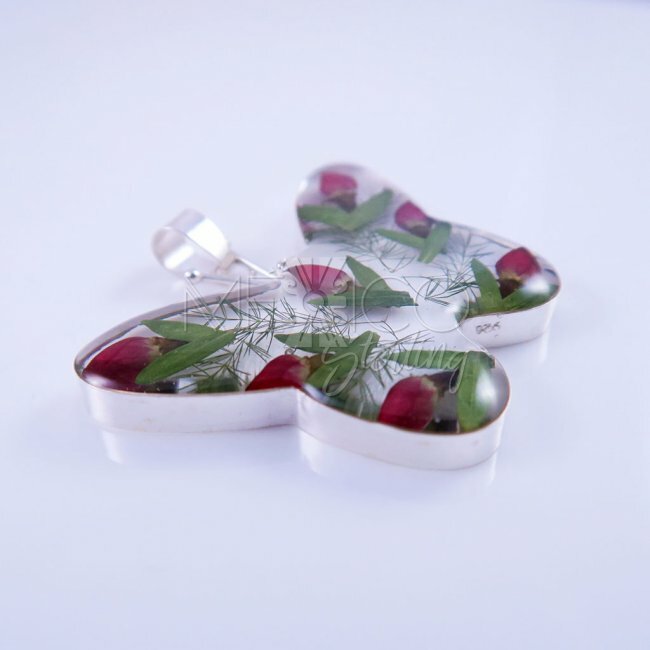 These pieces are completely handmade, flower by flower, piece by piece is put together. Not an easy task for sure, but without a doubt an amazing artisan work. 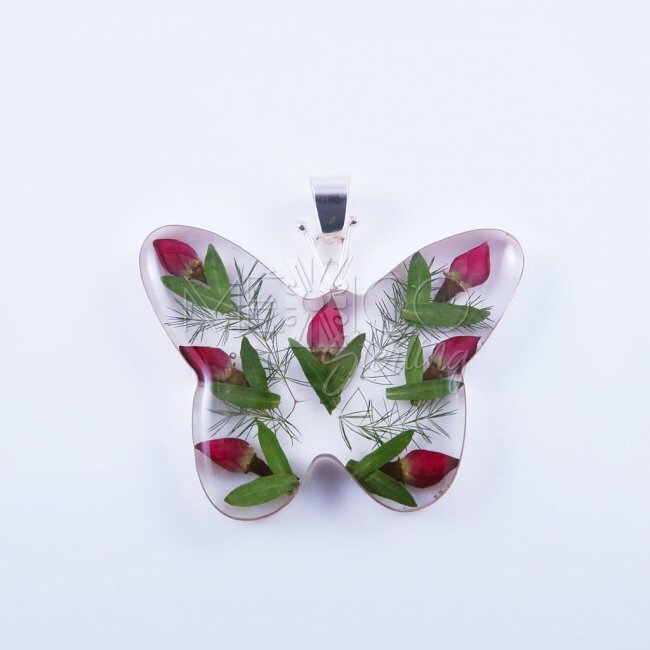 This specific piece is so charming, not only for the already cute shape of a butterfly, but also because of the red rose buds on display. 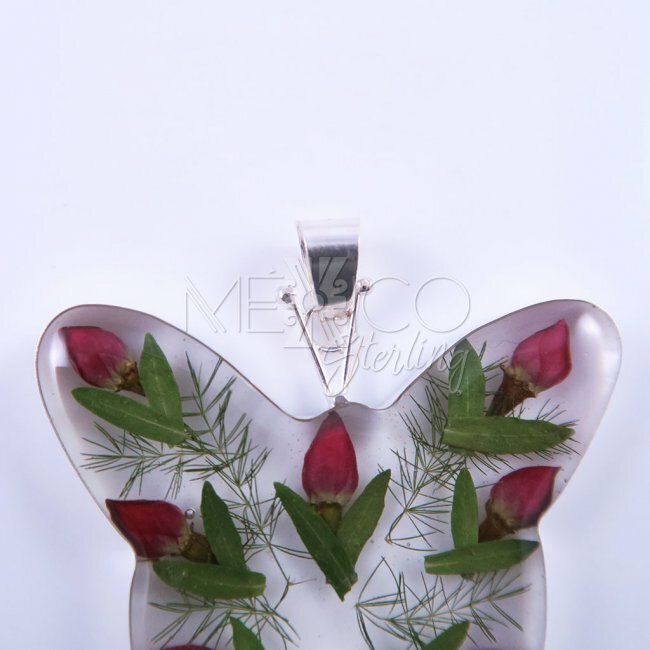 Remember that they are natural, real flowers, encapsulated and frozen in time. 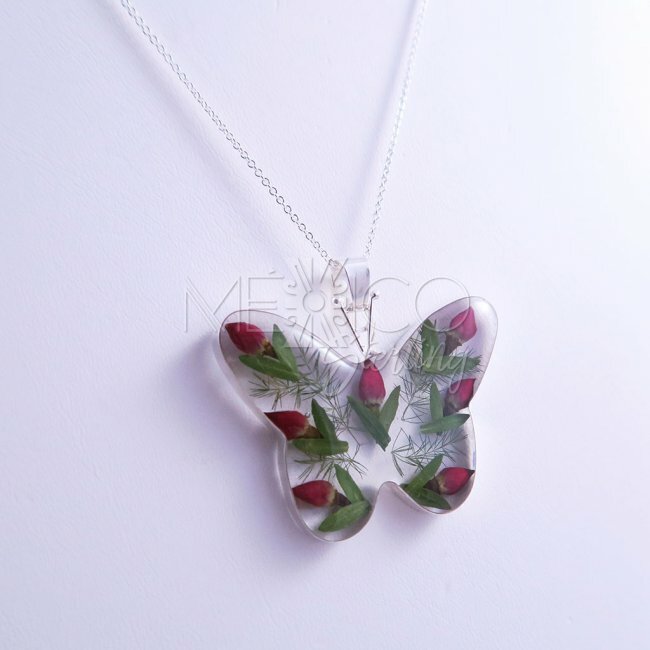 Perfect piece of jewelry for a clean casual look. It will turn heads for sure. Please take a look at the extra photos, for more details on this cutie. 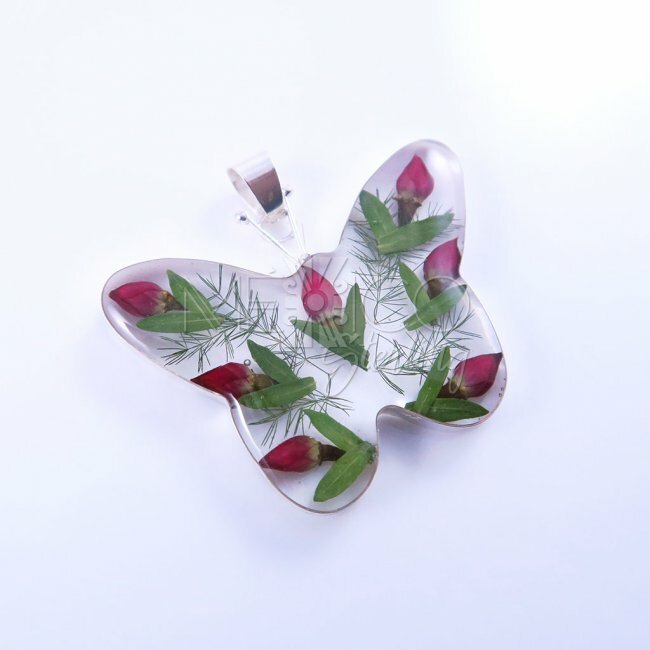 You can also watch the video on this category, for more information on how these pieces are made. 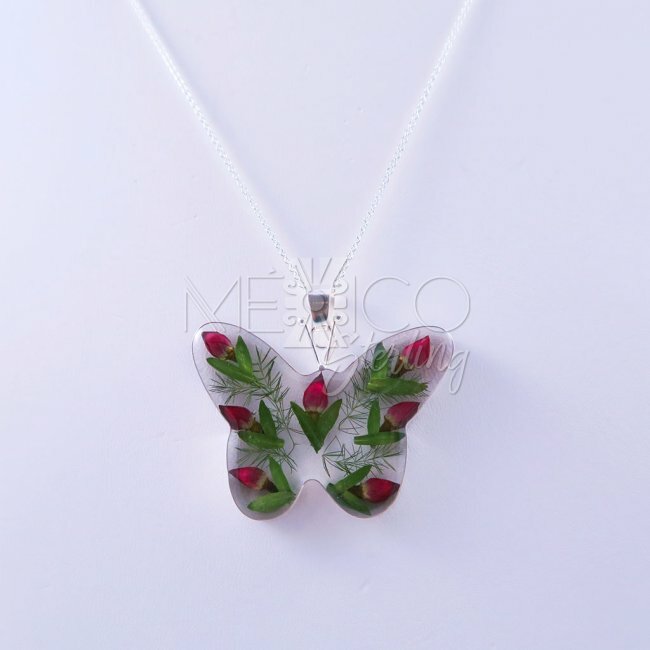 Please take into account that all these pieces are completely handmade, the shapes are the same but the flowers might vary a little from piece to piece, in general you'll see the same hue, color scheme and/or color palette.